Are you bored with the usual Minecraft PE interface? Would you like to radically upgrade it? 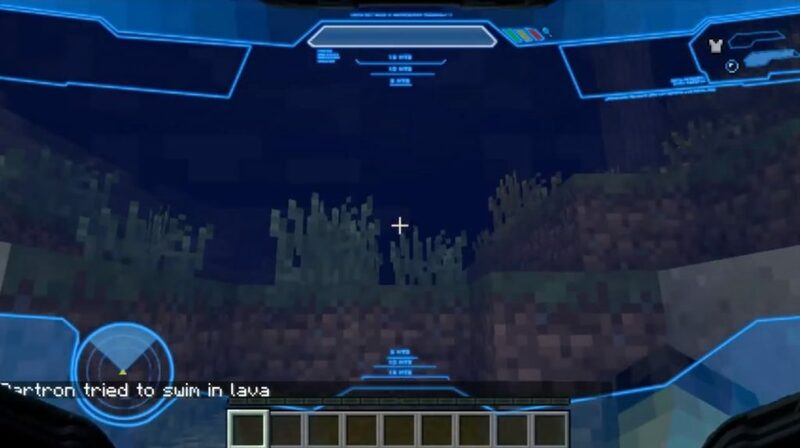 We present you an experimental Halo Hud texture package that will change the MCPE user interface graphics. The new design is inspired by the game Halo and now you will feel like your head is in a special helmet. Unfortunately, this package has some flaws and on some devices it works with errors. 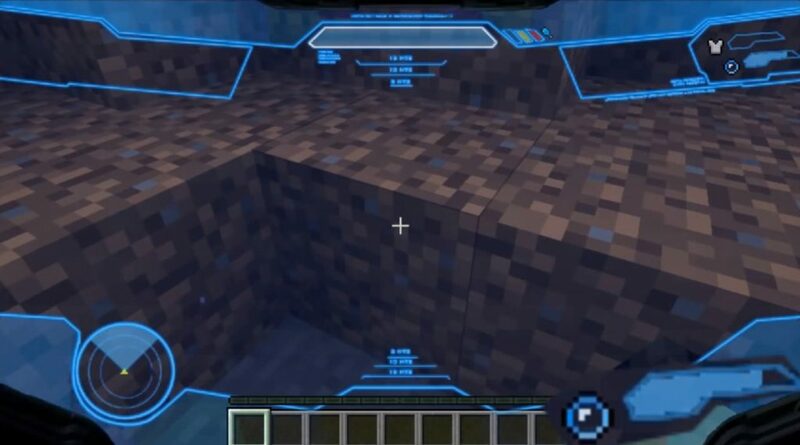 I hope its developers will fix everything in the next update for Minecraft Pocket Edition. The main difference that you immediately notice is the overlay of colors. At the moment in the world of Minecraft PE there are four different colors between which you can choose. For example, a blue overlay creates the impression that you are wearing a special helmet with a HUD visor. In addition, now in the MCPE world, the bands of health, hunger, and breathing have been changed. You can also see your character’s small avatar in the upper left corner.